PLO's top representative in Washington to return to PA in protest against American embassy in Jerusalem. The Palestinian Authority withdrew its envoy to the US Tuesday over the opening of the American embassy in Jerusalem. The move comes after PA chairman Mahmoud Abbas called the new embassy "a new American settlement outpost in Jerusalem." 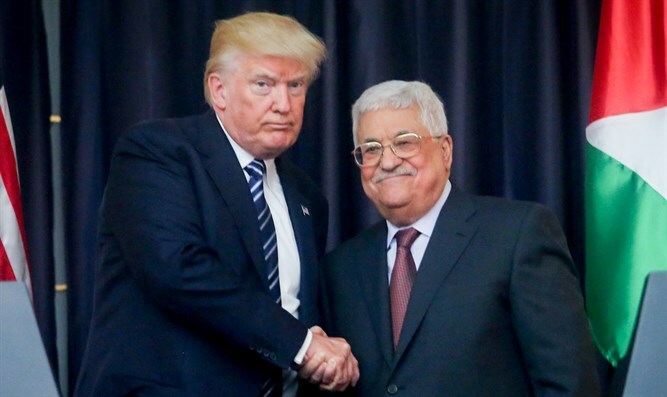 Abbas stated that the US recognition of Israel's capital means that "the United States is no longer a mediator in the peace process - the removal of Jerusalem and the refugees means an American slap [in our faces]."